Here's a small 5-minute tool I made the other day, simply because I needed it and it was faster to make it than finding a good one online that does what I want it to (although I'm sure hundreds of them exist). It's a simple XPath tester, that can test an XPath against a piece of XML, or a URL pointing to XML. It even attempts to do some simple syntax highlighting of the XML. The tool is online at www.mizar.dk/XPath. (In case you are wondering, Mizar.dk is an old domain I currently use all my silly projects and for various other demo/lab purposes. It's actually a leftover from a webdesign company I had together with Jesper years ago). 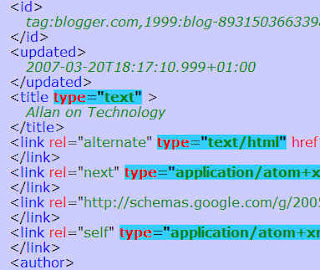 The XPath tester can also be used for simply showing XML, and it accepts a couple of query-line parameters so you can send link to XML with applied XPaths like this. The query-line parameters are: XML (raw xml for source) XMLURL (if you instead want to retrieve xml from a specific location) and finally XPATH (guess what thats for).